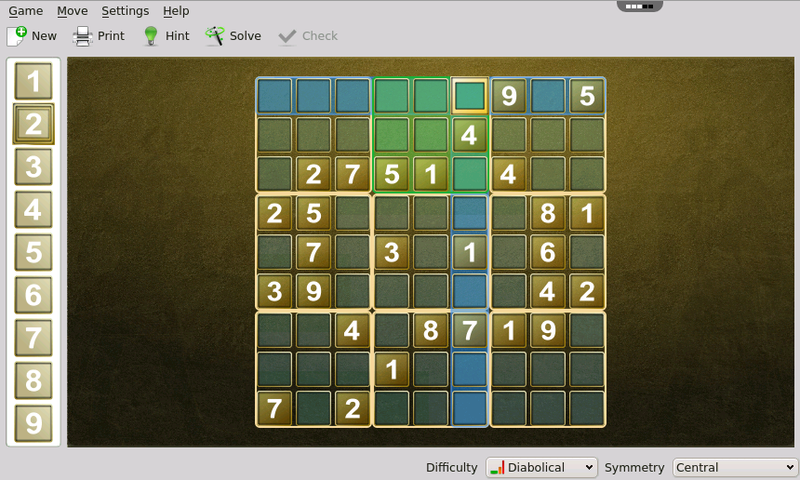 Generate and play the popular Sudoku puzzle online. This game is also known as Number Place. The rules of Sudoku are quite simple: the player has to fill a grid so that each column, row as well as each square block on the game field contains only one instance of each digit between 1 and 9. Stated another way, you must fill each square such that no number appears twice in the same row, column, or 3x3 block. 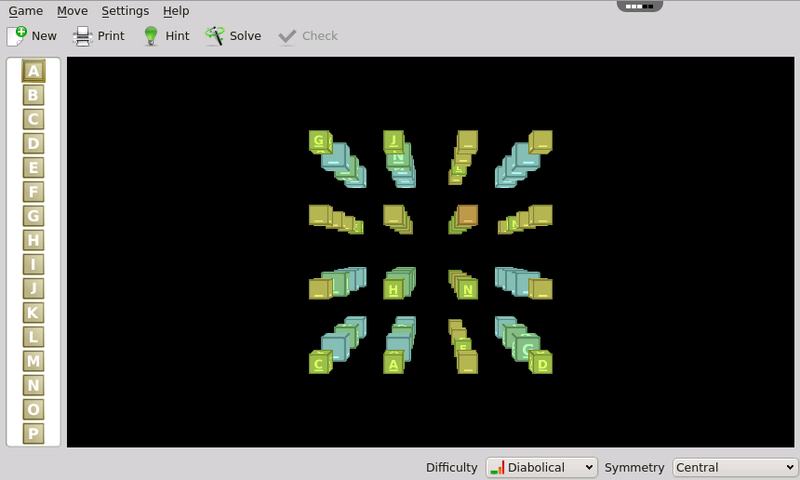 These two different ways of looking at the game represent two ways of thinking to solve the puzzle. On the one hand, you ask yourself, "How can I fit all the numbers in this block?" On the other hand, you ask yourself, "What numbers can fit in this square without causing a conflict with other numbers in the same row, column, or 3x3 block?" 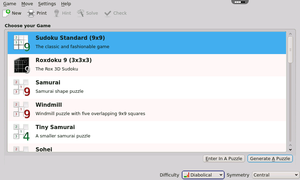 In spite of the simplicity of the game, Sudoku puzzles can vary widely in their difficulty. 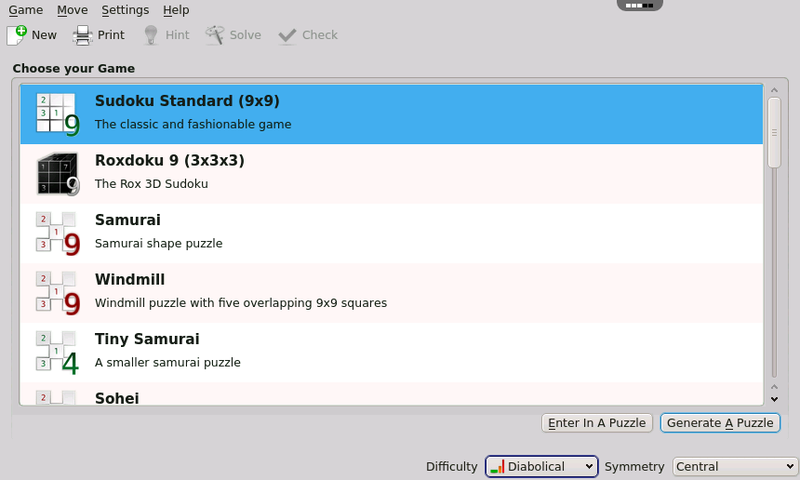 Sudoku allows you to select the difficulty of the puzzle you want to play. By default, it will start with easy puzzles and gradually increase the difficulty of puzzles as you improve. Sudoku is great for kids as it helps to logical thinking and reasoning. 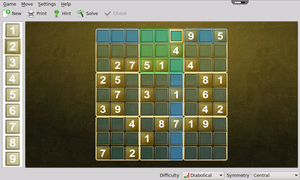 With rollApp you can play sudoku online from any device: tablet, smartphone, Chromebook for free with no downloads.